For instance it can even be used on boats, sailing boats (identification number, name...). 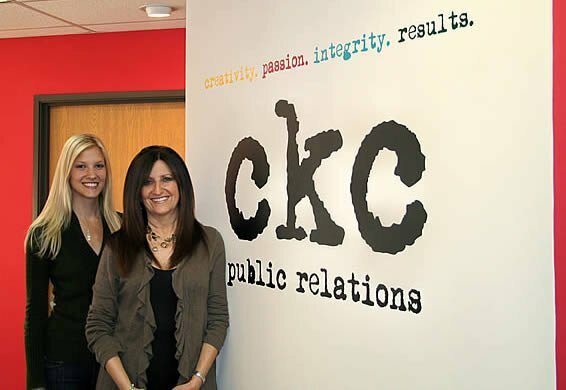 In a professional environment lettering decals can be a very useful and inexpensive way to do signage. For instance, decal wording can be used on doors to identify your office (Alexander Smith - Manager) or the purpose of a room (Conference Room, Coffee Room...). 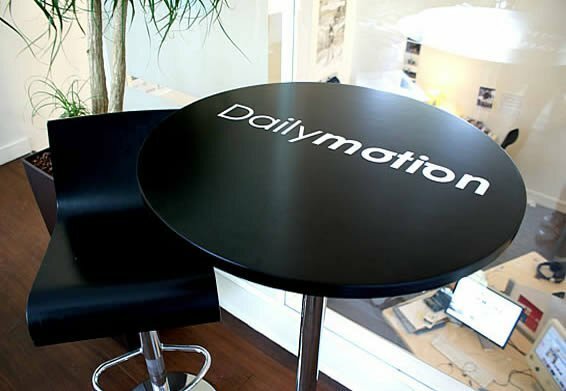 It can be used in a formal corporate way, or in a more casual decorative and humorous way... imagination is the limit. 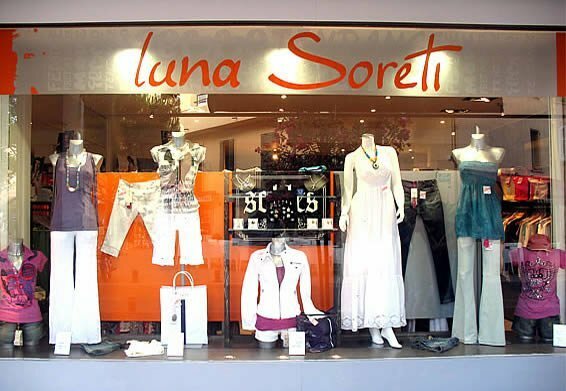 Decal and sticker wordings can be used indoors or even outdoors and will last for years. That's why they are a great way to advertise your business on vehicles (name, address, phone numbers...) or on the windows of your store front. Decal lettering can be used outside even in the most extreme conditions (rain, snow, extreme winters...) or any humid environment (even bathroom, jaccuzi, sauna...) as long as the surface is dry when you install the decals. My little brother even installed some vinyl decals in his bath tub and faucet and they hold perfectly!!! 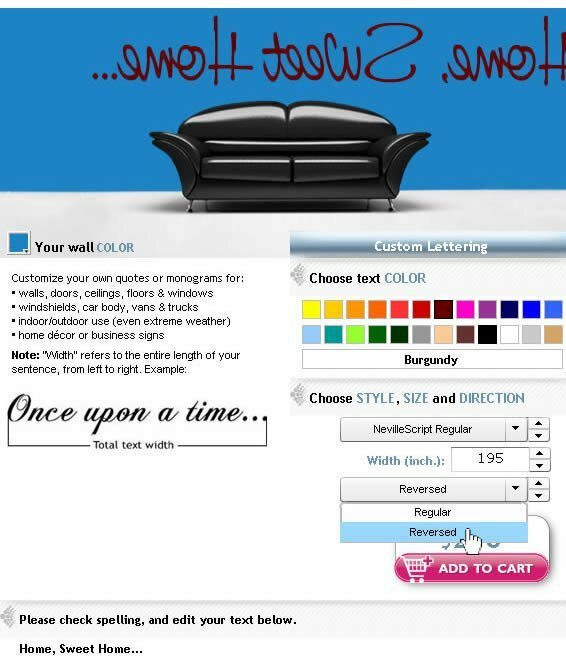 Making your own custom wall sticker quotes is easy thanks to our wording module. 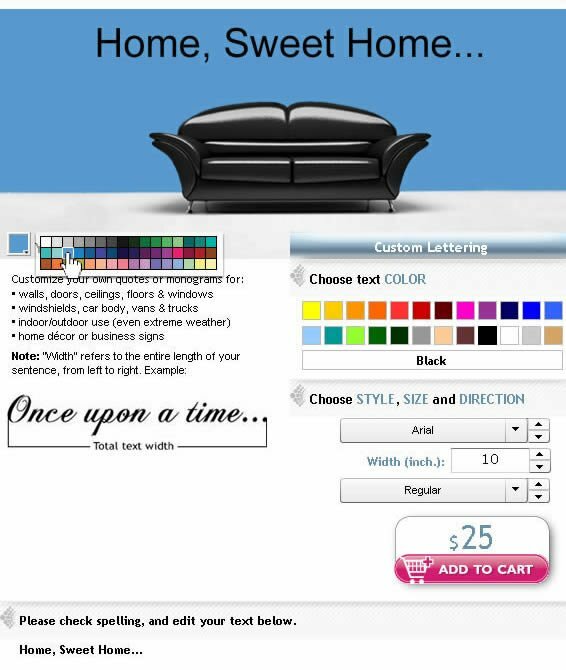 For this you simply need to type your text directly in the space preview above the couch. Or you can type it at the bottom of the module as shown by the white hands below. You can choose to enter capital letters or lower case letter at your convenience. This useful option is just for the comfort of the preview. It simply allows you to see how the decal will look set on your wall according to the color you are going to choose for your decal. It's really helpful to figure out which vinyl color will best match your walls. 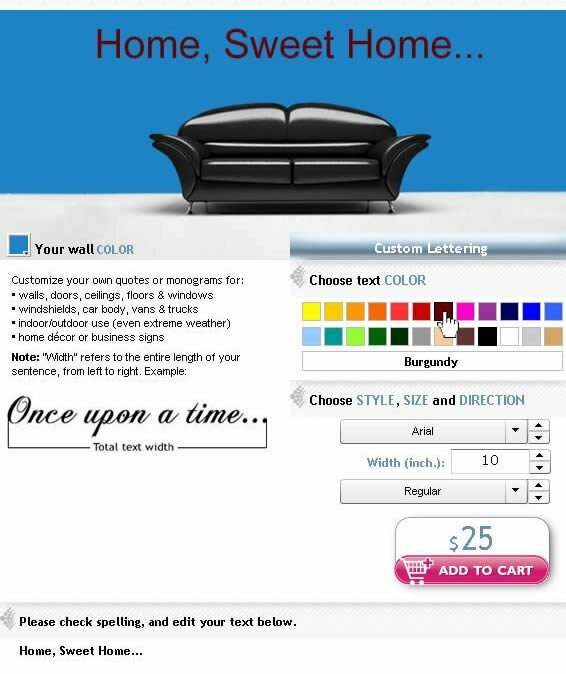 As shown below you can choose between 24 colors for your vinyl decal words. The name of the color is displayed right below the color chart selector (Ex: Burgundy in the screen shot below). These are matte colors. If you want to view the color before ordering you can request a decal color chart online. This color chart will come along with several mini decal samples. Note that the colors used for lettering decals are exactly the same as the ones used for the regular design decals you will find on our website. Thus, you can use custom wordings to complement or personalize other wall stickers you may be ordering on our website. If you want to go for custom colors you can contact us directly to special order it (we work with Pantone Color reference if needed). You now have to choose the font (also called style) for your quote decal. This will apply to your entire sticker. 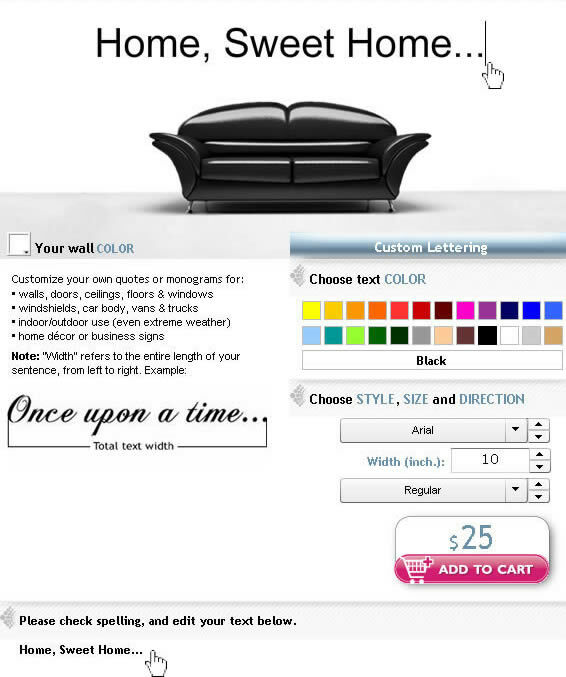 You can choose among 25 different fonts / style to apply to your text, from elegant to fancy! The next step is to decide on the overall size of your sentence to fit your space. Before selecting it, we suggest that you first check your space available with a tape measure to make sure that the decal you are about to order will fit nicely in this space. Once you have taken your measurements, you can decide on the size to select for the lettering decal. You will also notice that the size of the lettering sentence in the picture preview has increased to give you a rough idea of sizing and proportions. The lettering module allows you to choose a total length/width of 200" for your text. If you want to go for an even longer text, we can still manufacture it. Please contact us directly. 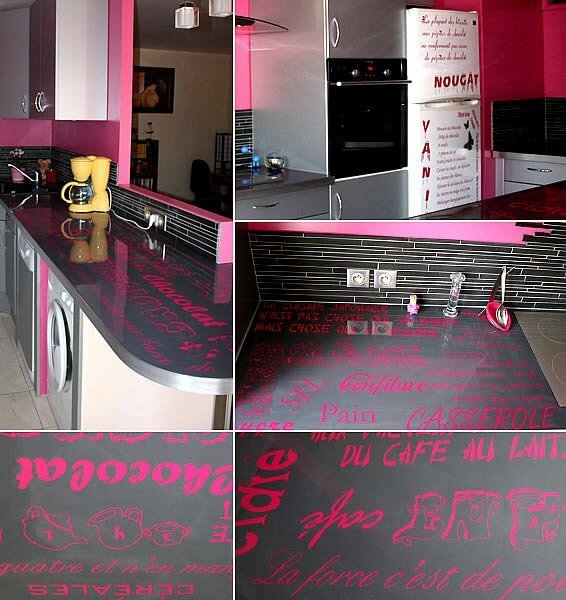 With this option you will choose Regular view if you intend your quote decal for walls or any normal surface. Before placing your order we suggest that you double check your text by reading your decal sentence again looking for spelling mistake or missing punctuations. 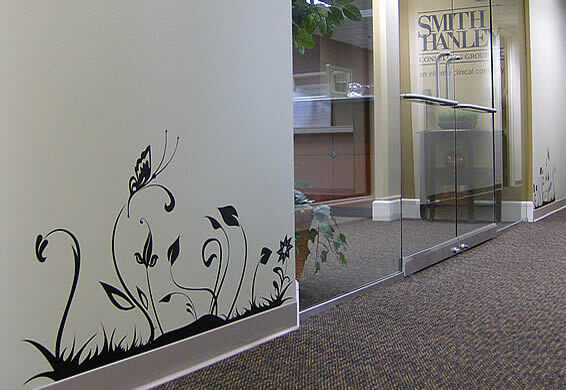 Wall decals complemented with custom lettering at Smith Hanley. Corporate, yet elegant!